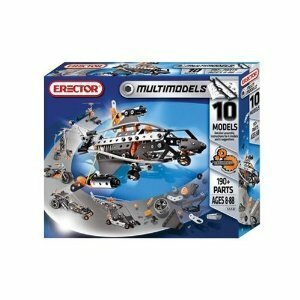 The Erector 10 Multi Model Building Set features various movements and models for real construction: racer, bike, copter, plane, and more. Tools and assembly instructions included (detailed construction steps for 4 models and photo inspiration for 6 more. Detailed instructions for 6 photos on erector website).